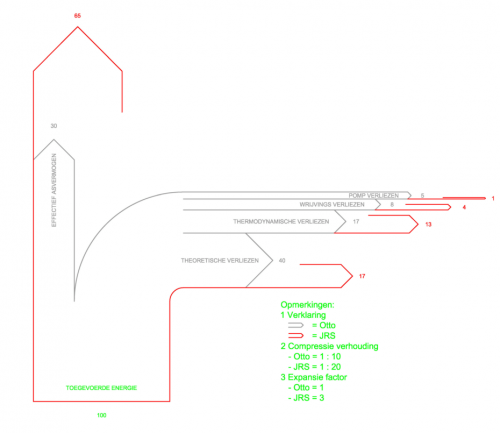 The below Sankey diagram from the JS Systems homepage tries to show the differences between a normal Otto engine and the “JS Motor”. The prototype JS rotation motor, from what I grasp, has different compression and expansion parameters and could prove to be twice as efficient. To show the difference in efficiency, two Sankey diagrams have been superimposed. 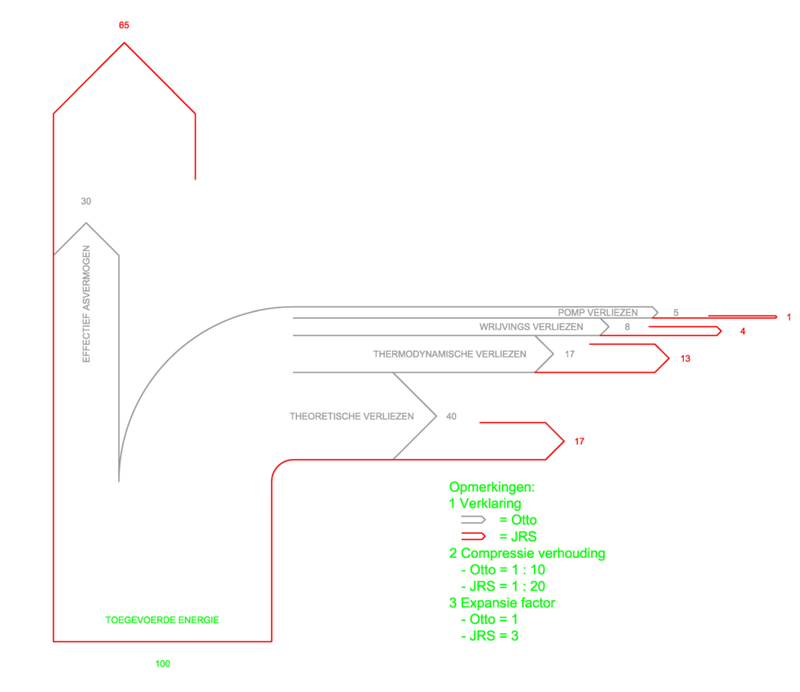 The diagram with the grey outline is for the Otto engine, the one with the red outline is for the JS engine. The diagram shows energy losses branching off to the right (e.g. thermodynamic losses 17% in a typical Otto engine, 13% only in the JS motor). Useful energy is represented by the flow to the top. I am not endorsing this motor, nor have I seen it work. But I like the idea of presenting a comparison in one Sankey diagram instead of two separate Sankey diagrams. Also, please check out this previous blog post on Sankey diagram overlay.